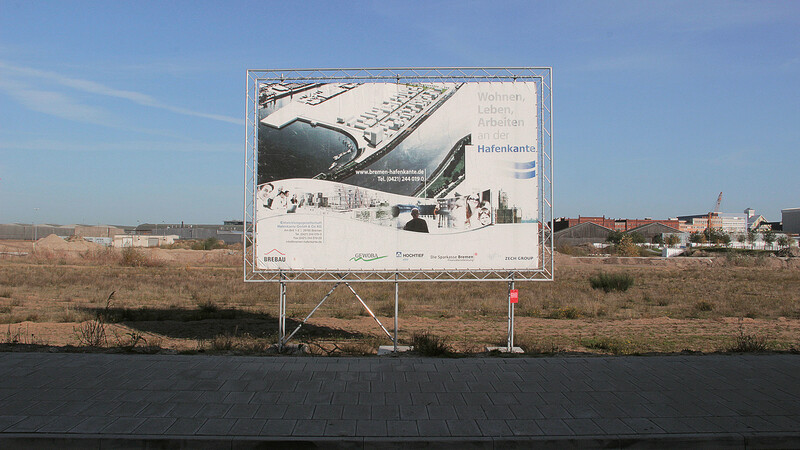 On the northwestern edge of Überseestadt, sites of construction are born once again by the river. In between the rising of buildings in a next commercial utopia, traces of past human activity can still be found over its vast spaces. In contrast with the site’s straight and square occupation, smooth and organic movement lines from past striations show an alternative pattern to its grounds. What if this movement was repeated so many times, that the soil itself eroded? In a future where the action of construction tractors is so intensive and repetitive, new landscapes could emerge between the smoothness of water and the remaining commercial debris. How would we occupy a ground that doesn’t cease to vanish? Hafenkante speculates about a future where society do not find its habitat on stable top-down economic foundations, but rather in bottom-up unstable socio-economic structures that move flexibly over the water surface. 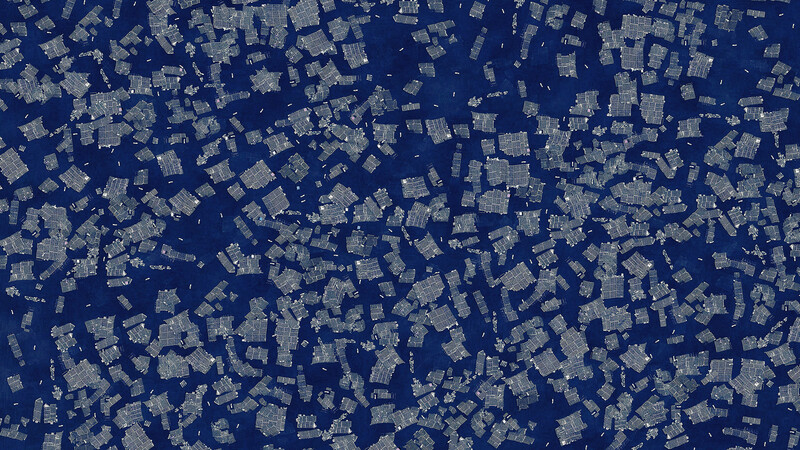 The project wonders on the smooth tractor lines of construction sites seen on satellite imagery. By the use of a custom computer vision algorithm and different design techniques to accelerate the process of the aforementioned narrative, the present photographs and sketches were generated to visualize the future scenario of such place. Developed at the University of the Arts Bremen (Digital Media Program). Conceptual support:Willy Sengewald, Nele Brönner. University of the Arts Bremen. Bremen, DE. Group exhibition. University of the Arts Bremen. Bremen, DE. Group exhibition. Immigration Office. Bremen, DE.